12:07am? One of these days I'm gonna get done blogging earlier. One of these days... I woke up at 7am, read scriptures, said prayers, and got the kids up and moving. By 7:40am, we were all dressed and headed out to Daycare camp. Last day. The kids actually seemed a little excited about going today. Go figure, they like it on the last day - hehe. I dropped them all off, and headed back home. Amanda had dropped Austin off at Daycare, and said to come on over. We decided to have a computer day. I brought my laptop, and she grabbed her, and we watched 24 on Netflix on her big TV. She's got compfy chairs, too! Thanks, my dear, for letting me come and play all day! 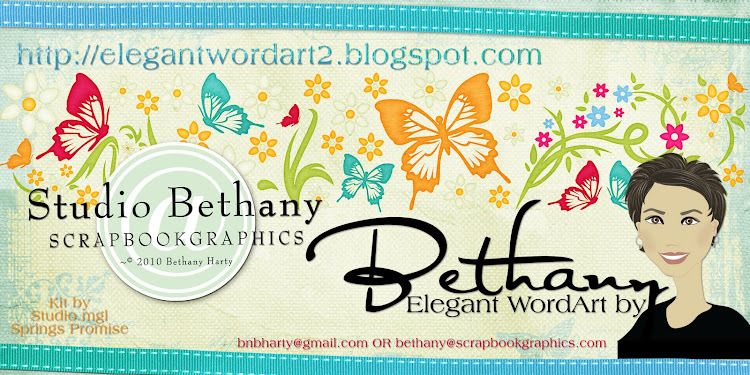 I designed half of the WordArts that i needed for freebies in July. Awesome, huh? I drank my 64 oz of water, and seriously had to pee 6 times between 8:30 and 10:30. It was insane. hehe. We loaded up in the car, and headed to Red Lobster for lunch with Terra and the big girls around 10:50am. And actually got there before Terra! She's ALWAYS early. Everywhere we go. She's SO good :) Anyway, they were late at Daycare (SO not Terra's fault), so Amanda and I got there first. It was funny, because I told her to ask for the Super Awesome people, and that they'd show them to our table. I was just joking, though. hehe. She didn't get that from my text, and asked for the Super Awesome people. Ooops, sorry Terra. hehe. They found us, though. ROFL! We looked over the menu, and decided what we wanted. Since Red Lobster is owned by the same company as Olive Garden, we used our gift cards. Amanda had a $4 off coupon for 2 dinner entrees, also. Sa-weet! That's the way to do Red Lobster. hehe. I got the 4 courses for $15. First course, salad. Main Course - Grilled shrimp and coconut breaded shrimp, with cole slaw and rice. SO yummy! And the last course was a brownie ala mode! Gotta love dessert - hehe. We had a TON of fun at lunch. Amanda and Terra and the girls all got some entree that came with Crab Legs. I made Amanda give me a bite, and yeah, it's NOTHING like my dad's home caught crab... I'll just do without, thanks! I dropped Amanda off at the Auto Crafts store, then headed home. I checked on Jake (at the youth center) and the dog, then headed back over to Amanda's house. And we picked up right where we left off. More 24. Then some Glee. Then some outrageous vacation video show. All the while, she was working on her computer, and I was designing. I ended up getting song freebies designed for EVERY day in July. Nice, huh??? While trolling though facebook, we saw that the outdoor pool was NOW open, and that not many people were up there. YES! We decided to pick up the kids a tad early, and go swimming. The pool was supposed to open on Memorial Day, but had some issues from over the Winter. So no outdoor pool for us. Hence the backyard pool. We spent an entire month at the pool last year. I guess we'll just spend July there this year instead of June. hehe. We got Austin and Jim first, and said Bye to their teachers. The boys really did have a TON of fun this week! Next stop, SAS for Eme and Tom and Joe. And hurried and checked out and got back in the HOT truck, and headed back on post. And drove straight to the pool. It was BEAUTIFUL! hehe. Amanda and I got in with the kids, cause it was SO hot outside, and the water felt SO good. Kids swam, and we hung out in the shallow end with the kids, then Kari when she came. She didn't get in, but sat on the side, and we chatted with her. Amanda and Kari and I moved down to sit near the deep end, so we could keep an eye on the little boys. And we watched the big boys try and dive. Kari was REALLY good, as was her step son, Justin. Eme, bless her heart, tried hard. Tom did OK. Amanda was trying hard too. I don't know what I looked like, but I know it wasn't a belly flop, at least. hehe. Jump at the same time, boys! Jump Jimmy after the big slide! Amanda and I, snapping photos of our boys fast and furiously! Me on the water slide. The pool closed at 7pm, and we loaded up, and headed out. Everyone had a GRAND time, and it wasn't even to busy. Score it! We got home at 7:30pm, and Jake was already there. Apparently, the Main Post Youth Center closes at 7pm, everyday. No extending hours. So Jake had rode his bike home. He was playing on a computer when we got there. We got the Military Discount, and grabbed a Popcorn and Soda combo. And Bassett Center movie theater offered free popcorn seasoning! Cool, huh? I really really liked the movie. Very Sci-Fi, and that's what I like! And I always have fun watching Previews, so I know what I need to add to my watch list. It was a longer movie than I thought, and got over at 10:30pm. We loaded up, and headed back to post. Thanks, Tom, for being my date. LOVED going to the movies with you! We got home, I had Jake help me clean up a tad bit (dishes and such), then I sent him and Tom to bed. And retreated to my room to blog. And found Jim on my bedroom couch, so had to send him to his room. And at 11pm, everyone else went to bed. And I started blogging, and grabbing my photos from my phone and putting them on my laptop, then on Facebook, then on my blog. What a process, huh? It's now 12:42pm. And I'm SO super sleepy. I can actually feel myself falling asleep as I type this. hehe. I hope it made sense. ha! Tomorrow, we might go and see Cars with the little boys, and we might go to the Outdoor Pool again. And it's Elijah from the bus stops' bday party. Fun times, fun times! One things for sure, I'm SOOO sleeping in tomorrow am. Because I've been up at 7am everyday this past week. So, don't wake me up in the morning, ok? hehe. Great layout, Sharon! You ROCK! Loving the music themes, Bethany ... bringing back some musical memoies. What font did you use for 'people'? I love it! Thank you so much for this post. 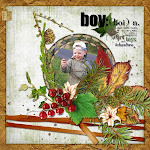 I want to let you know that I posted a link to your blog in CBH Digital Scrapbooking Freebies, under the Page 8 post on Jun. 25, 2011. Thanks again. Love todays word art! Thanks! I'm with Nikki, i love that 'People' font too! The diving pics are awesome! Great word art! I am so getting a Droid with a decent camera in it to take pictures of everyday life. You inspire me!